…is something I rarely do. But today I saw something so awesome I’d like to hop a plane to California just to try it. 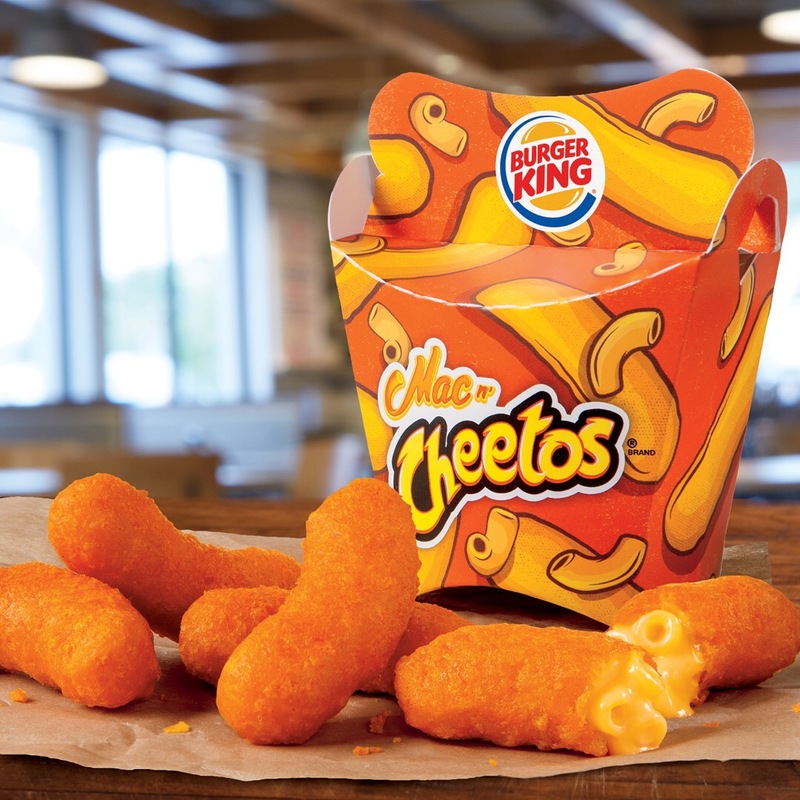 Burger King’s Mac n’ Cheetos. It is mac and cheese, deep fried in a Cheetos crust. I want this bit of frankenfood in my mouth right now. I don’t care how bad it is for me. I want it in my bellah. I want deep fried Cheeto smell all over my fingers. And orange teeth. I haven’t had Mac and cheese in a couple of years, and I haven’t had a Cheeto in over a decade. If anyone deserves to eat this, it is me! Here’s a taste-test video. Damn him, damn him to hell for getting a bite of comfort-food heaven (he might be going there already for saying ‘digging it’ so damn often). I’m also annoyed that they spelled it n’ instead of ‘n. Burger King, fix that! I love you. I can sympathise, but most frankenfood is well out of my scope of possibilities – most of it’s a bit too gluten-y! Yes, these would be a nightmare snack for you! But have you had Cheetos? Or proper Mac n cheese? I ate a dry mealworm bought for bird food. It actually wasn’t bad, just needed salt. I’ve eaten both and regretted it. Me and cheese don’t mix well. I’ve had a few meals with insects, not as bad as you may imagine! Oh yes you did say you had cheese issues. Oh well. It sure must be an American thang!